Congratulations, your athletes are committing to colleges. It's certainly a time to celebrate your success and hard work. 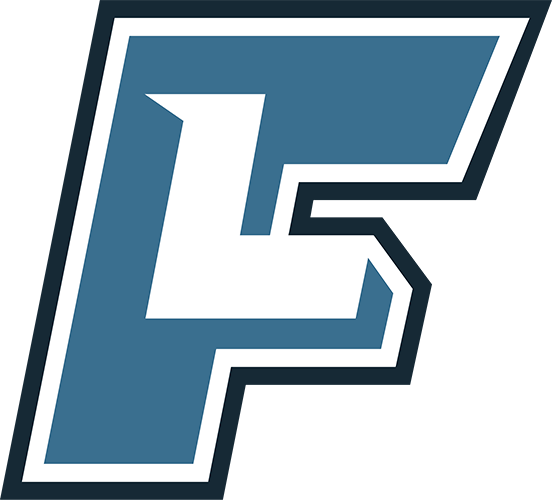 Not only have we made it easy for you to mark your athletes as committed from your Dashboard, but you can also announce it to everyone on FieldLevel and your social media accounts (Twitter, Facebook, etc). 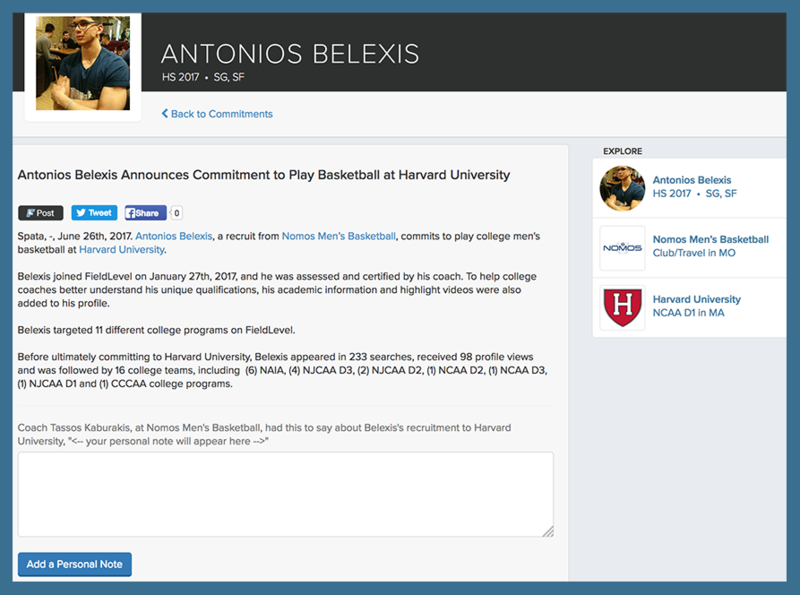 When your athletes commit to colleges, you can mark their commitment from your Dashboard. Simply click the "..." next to the athlete and select Announce Commitment. Marking an athlete committed removes him/her from Recruiter Athlete Search results and will trigger a notification to all college coaches following that particular athlete to let them know they are no longer available to recruit. You can also add a personal congratulatory note and announce the commitment via FieldLevel, Twitter, and/or Facebook. 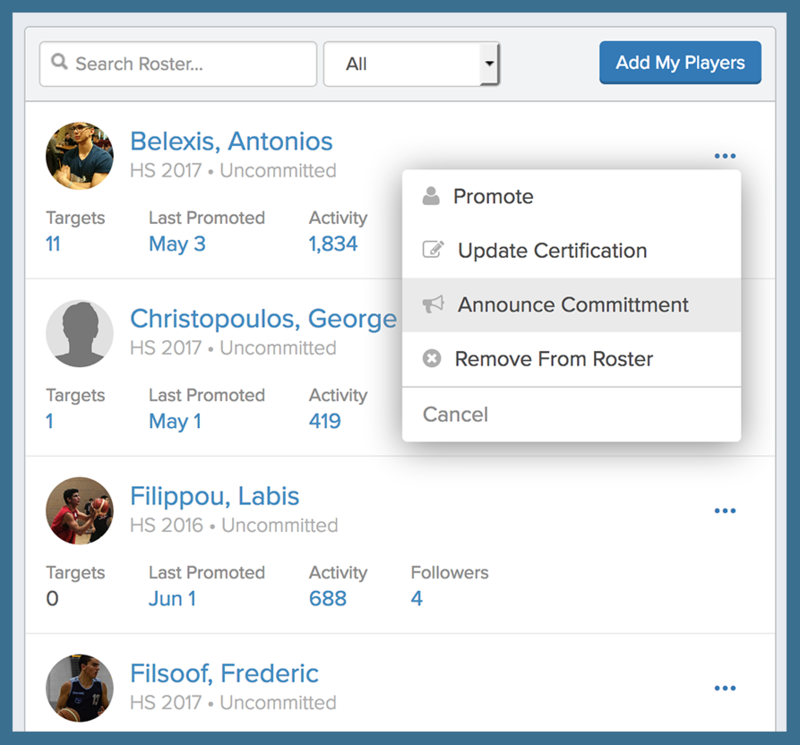 When you and your athlete are confident in his/her commitment, you can quickly move them to your Alumni page by clicking the "..." next to the athlete and select Remove From Roster. 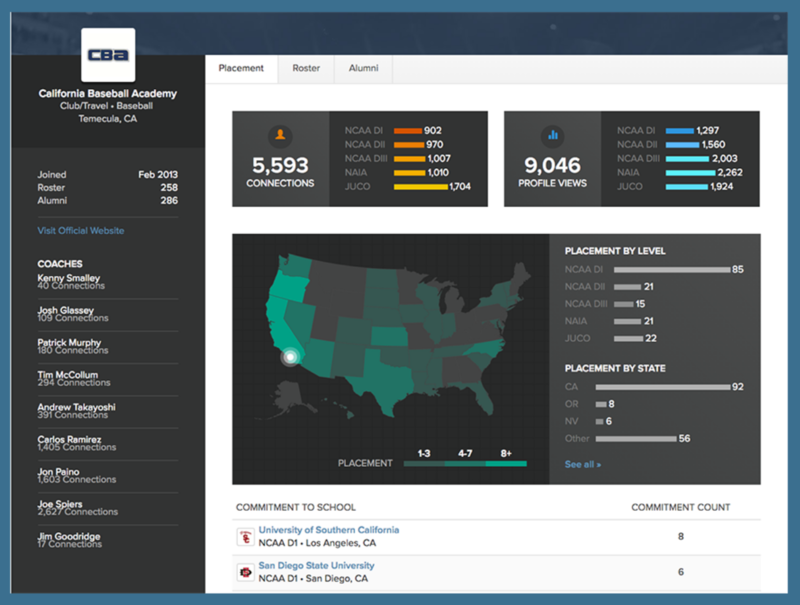 Moving your athletes to your Alumni not only allows you to focus on your uncommitted athletes on your roster, but it also populates your Team Page, which shows where you've placed your athletes over time.